What was once an idea to bring tourism to South Dakota, turned into something much greater. The idea was originated by State historian Doane Robinson. 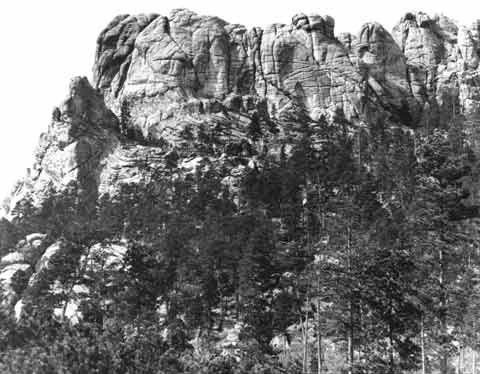 He imagined large figures of the American west carved in South Dakota’s Black Hills. 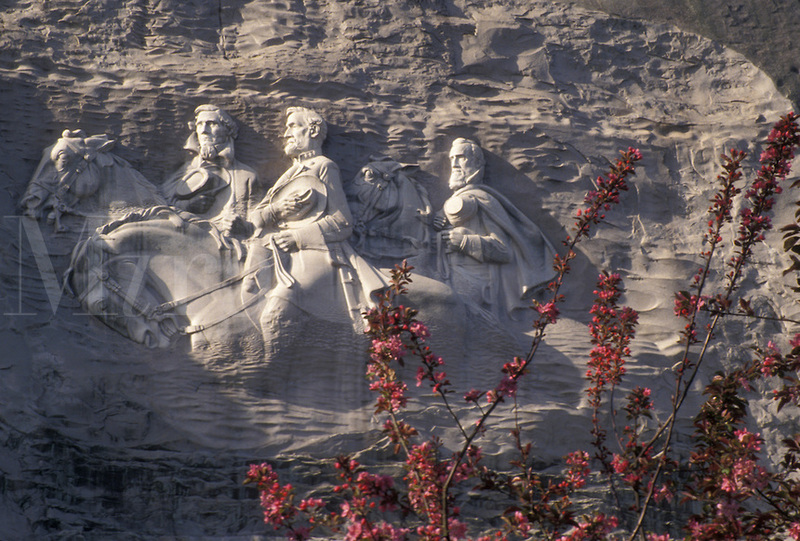 Robinson contacted master sculptor Gutzon Borglum. 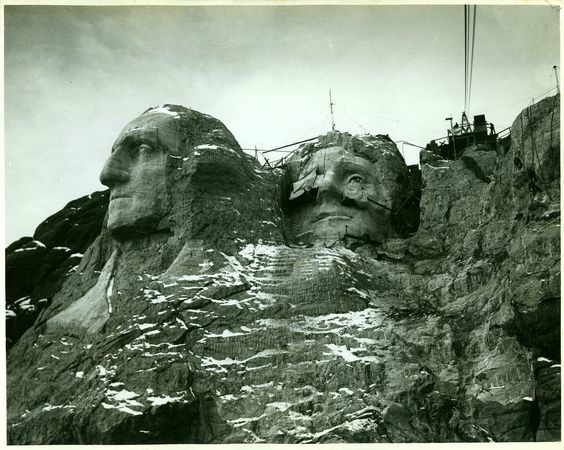 Borglum liked the idea, but wanted the sculpture to be a monument that conveyed the meaning of America. Work commenced officially on October 4, 1927. 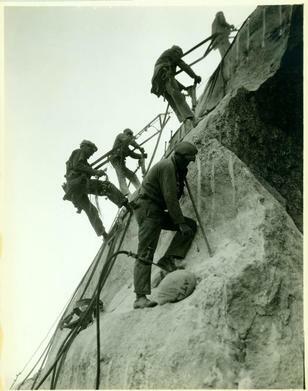 After fourteen long years riddled with funding challenges, the monument was completed in 1941. 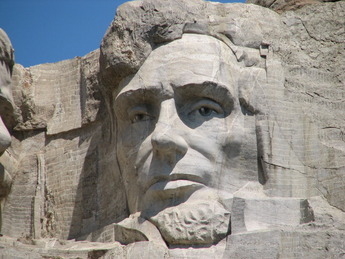 Today Mount Rushmore is visited by millions of visitors a year and stands as a symbol of America and this great nation. 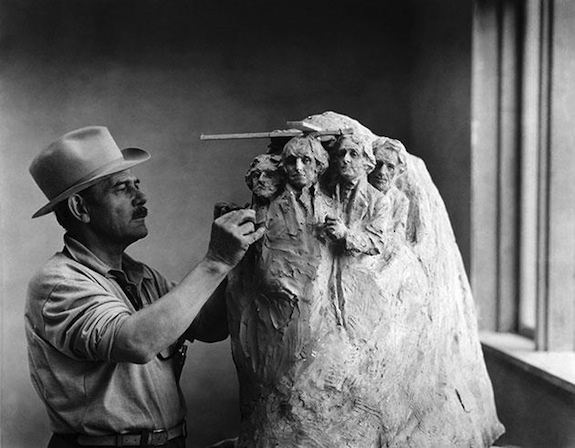 Gutzon Borglum chose four presidents to carve on the mountain, because to him they represented the first 150 years of American History. 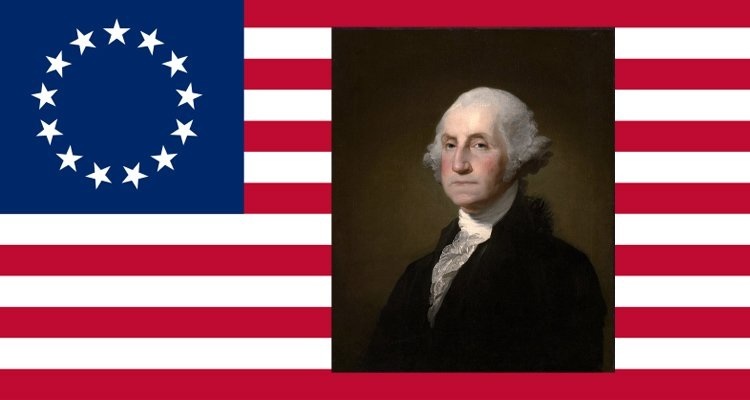 Washington, being our first president represents the BIRTH of our country (Served 1789-1797). 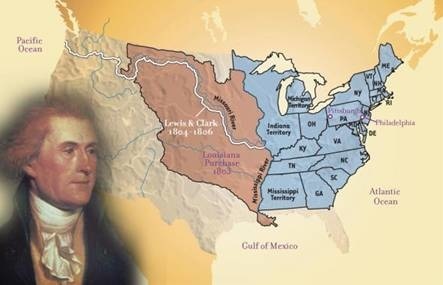 Jefferson symbolizes the EXPANSION of the nation, he is creditedwith Louisiana Purchase in 1803 (Served 1801-1809). 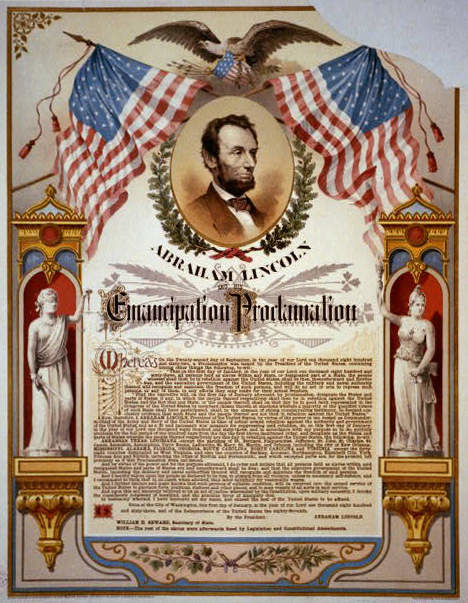 Lincoln embodies the PRESERVATION of the nation in confronting the challenges of the Civil War (Served 1861-1865). Theodore Roosevelt represents the DEVELOPMENT of our country. 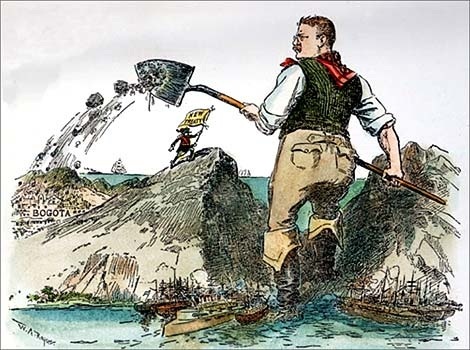 He promoted construction of the Panama Canal (Served 1901-1909). 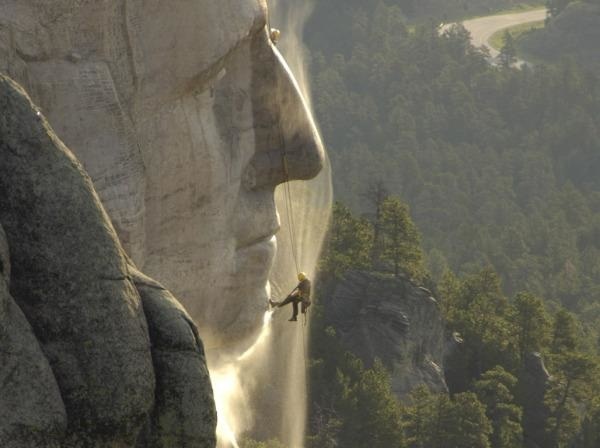 Each year around 3 million visitors travel to Mount Rushmore to admire and be inspired by Gutzon Borglum’s sculpture. 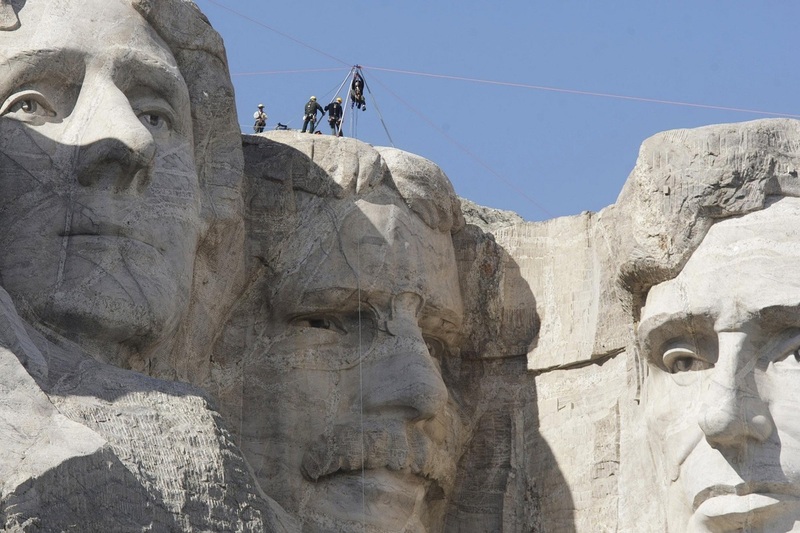 To help maintain the sculptures vitality, once a year, just before winter, National Park Service staff repels over the side of the faces to inspect and caulk any cracks or fissures that they find. 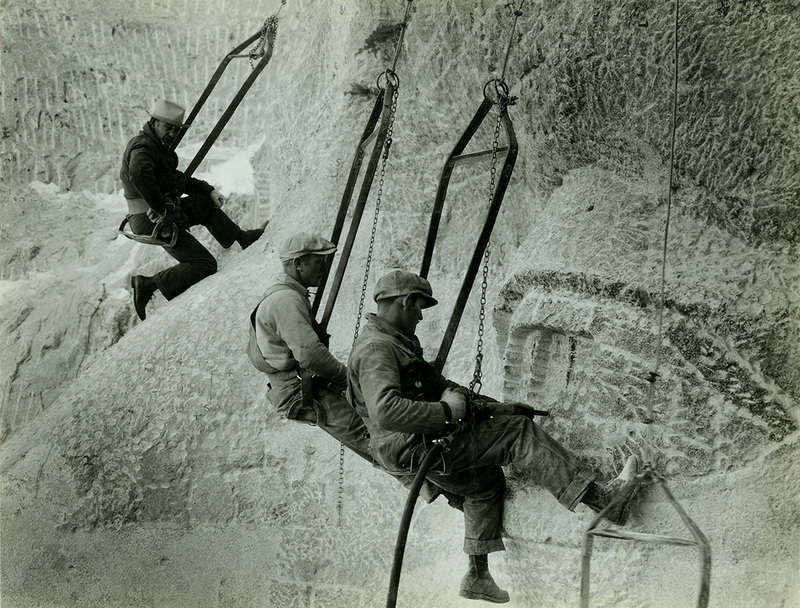 They use a silicone sealant, which seals out moisture and helps prevent ice and snow from penetrating into the cracks and splitting or damaging the sculpture. 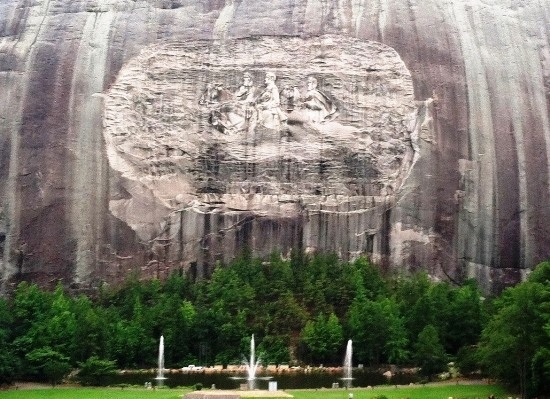 How do you turn a mountain into a work of art? 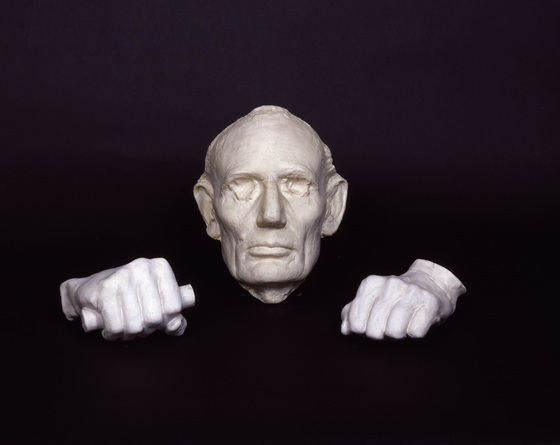 The famous sculptor Gutzon Borglum familiarized himself with death masks ( is a wax or plaster cast made of a person's face following death), painting, photographs and descriptions of the four presidents. He then created multiple models which his workmen could use as guides. 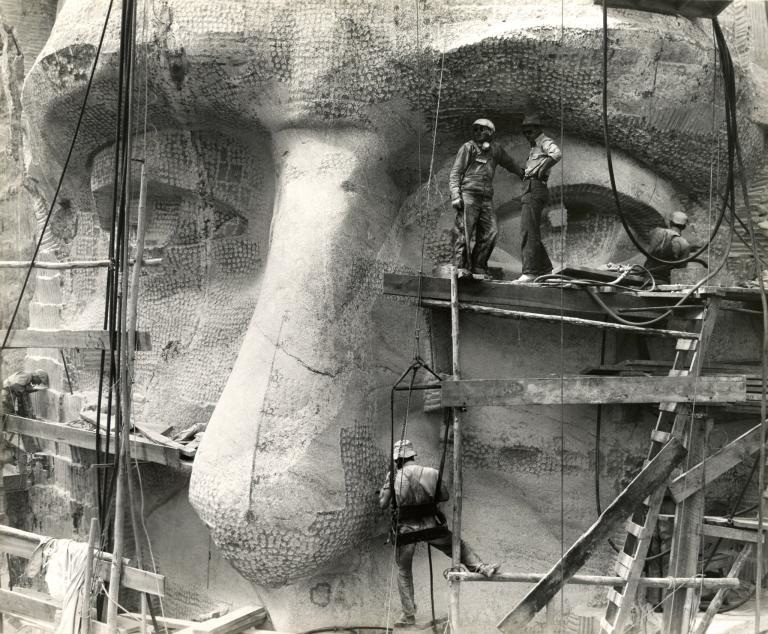 ​Once an egg-shaped volume of rock had been exposed and prepared, the measurements were calculated for the facial features. Skilled blasters could dynamite within a few inches of a desired measurement. 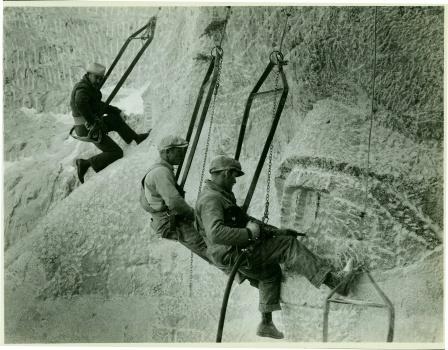 After rough facial features were shaped out, workers suspended by cables in swings called Bosun chairs used pneumatic drills to honeycomb the granite with closely spaced holes. 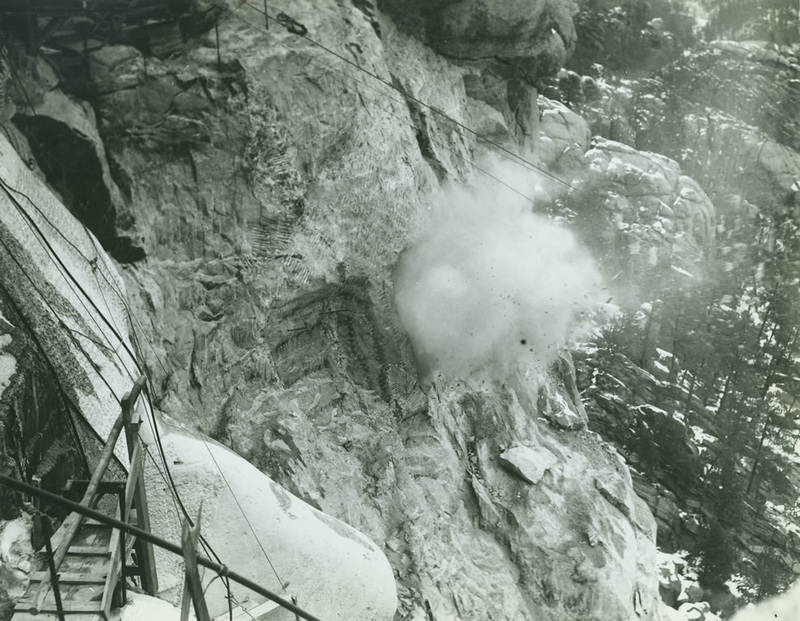 This excess rock was chiseled off, and then workers “bumped” away the drill holes and lines using pneumatic hammers to create a smooth, white surface. Ninety percent of the heads were carved with dynamite. There were nearly 400 workers who helped create this memorial. 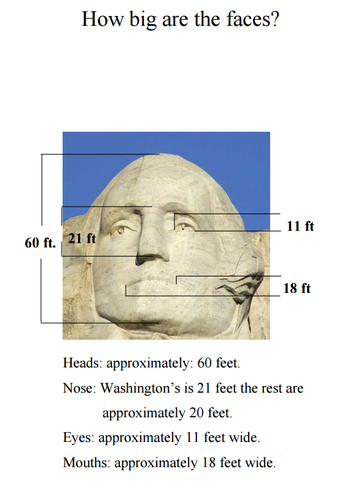 Today we will talk about just how BIG the four Presidents are! 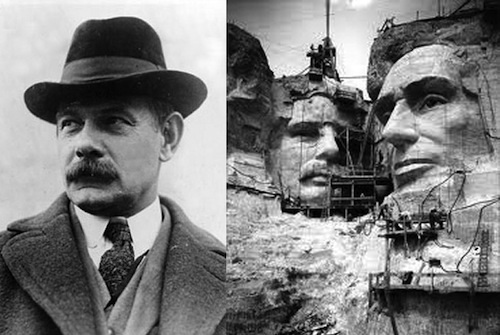 The original sculptor of Mount Rushmore, John Borglum previously carved the same four Presidents on Stone Mountain. 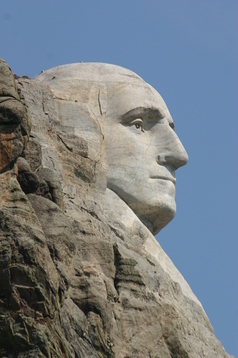 He used this vision to begin his creation in South Dakota. Many do not know there is a smaller version. It is hard to believe that these lifelike sculptures were achieved using a combination of dynamite, hand drills, hammers and chisels. Yet, the result was a perfect replication. 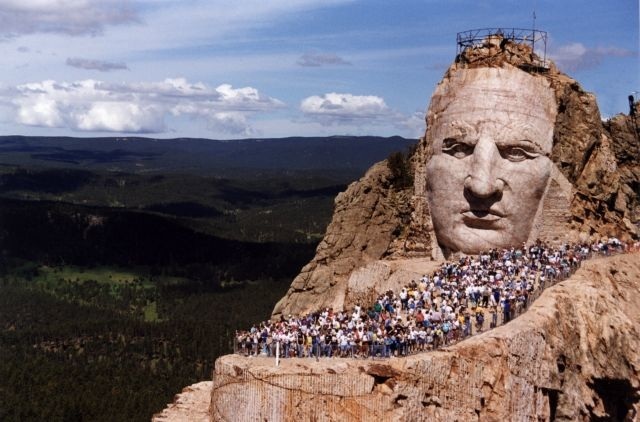 The Crazy Horse Memorial is a neighbor to Mount Rushmore. The sculptor of this piece of art, Korczak Ziolikowski. 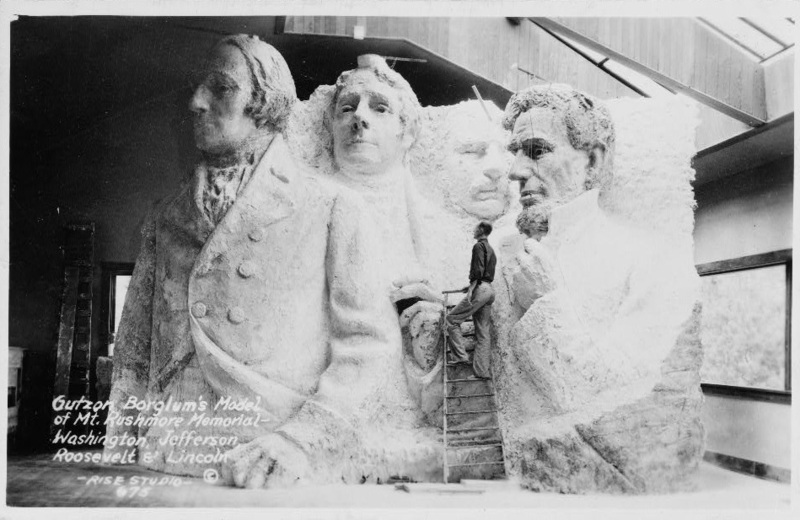 He worked with Borglum on the Mount Rushmore project. 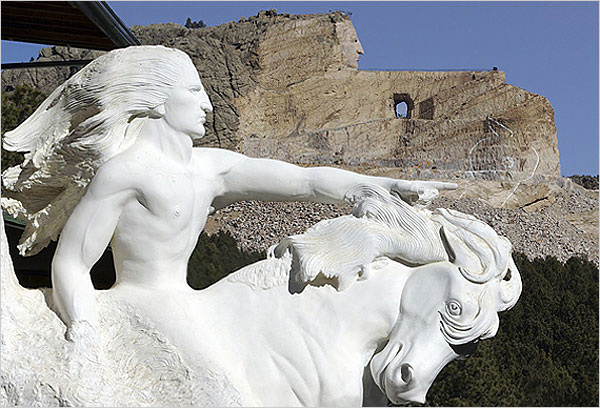 The Crazy Horse Memorial is still under construction. 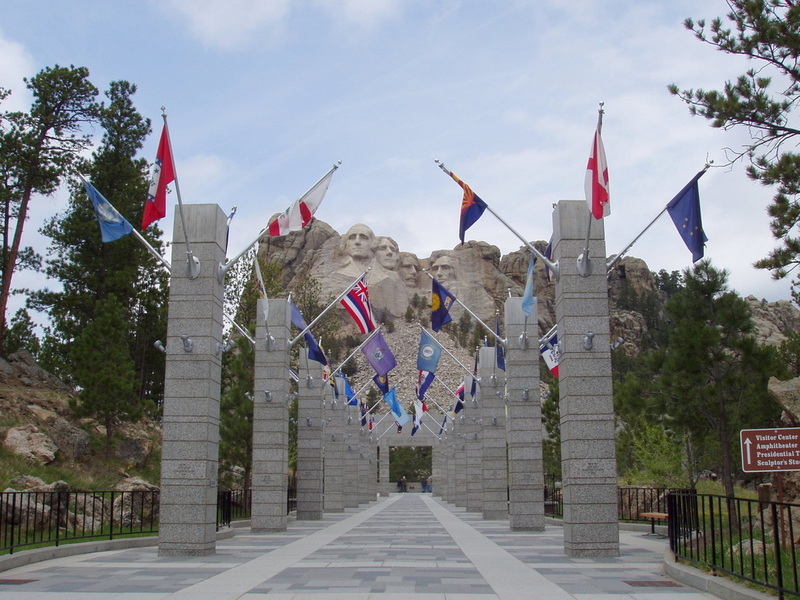 Mount Rushmore is considered one of the 25 most recognized locations in the entire world. 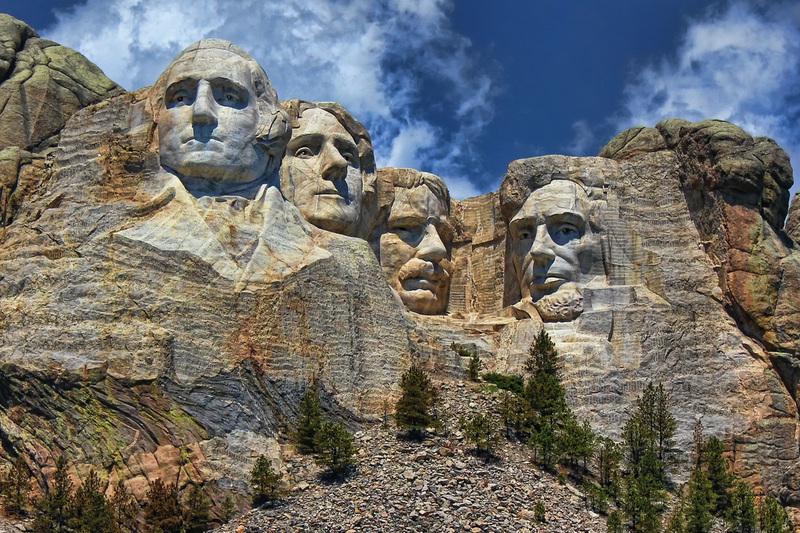 Now, for a bit of trivia: Why is it called Mount Rushmore? Mount Rushmore is named after a New York City attorney. Charles E. Rushmore was sent out to this area in 1884 to check legal titles on properties. On his way back to Pine Camp he asked a local resident and guide the name of the mountain. 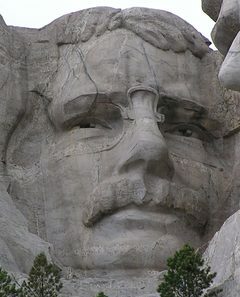 The man replied, "Never had a name but from now on we'll call it Rushmore." And they did. 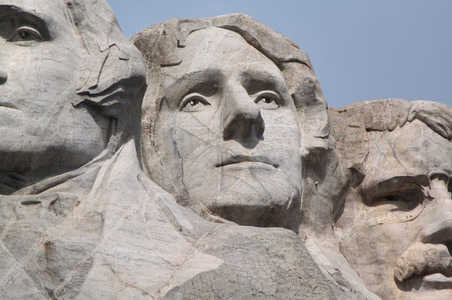 "Top 10 Interesting Mount Rushmore Facts". Travel Advisor Tips. N.p., 2012. Web. 20 Apr. 2016.